Improve the way you manage, protect and store data with IBM Spectrum Storage, which includes software-defined software (SDS) products for business needs big and small. Game changing insights for unstructured data at massive scale. This IDC white paper evaluates the need for a data management solution for governance, storage optimization, and big data and analytics purposes. Improve the way you manage, protect, and store data with IBM Spectrum Storage Suite, which includes many of the Spectrum SDS products listed below. 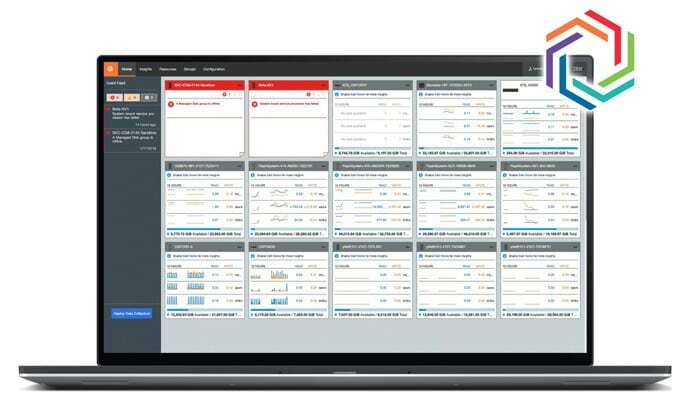 By sharing the same easy-to-use interface, IBM Spectrum Storage Suite makes SDS deployment easier and more cost-effective than ever. Check out the extensive portfolio of Spectrum Storage products to help you with your SDS, general data management and modern data protection needs. Choose the right products for your specific SDS needs. Deploy an enterprise data storage platform on-premises, on IBM Cloud or on your private cloud. Enable rapid deployment of the DNA of IBM's fastest systems on your choice of x86 servers. Optimize big data analytics and clustered applications with high-performance, scalable storage that enables global collaboration, simplifies workflows and lowers costs with cloud tiering. Reduce downtime, add features and unify storage from more than 450 storage systems to make block storage more efficient, agile and ready for multicloud. Choose the right products to help you better manage your data infrastructure. Manage complexity, optimize cost and streamline support, all from IBM Cloud. Combines proven IBM data management leadership with AI technologies from IBM Research. Identify and catalog unstructured data as it is created to easily find the data you need for analytics, governance and storage optimization. Integrate storage in multiple cloud environments quickly and easily. Enables provisioning, monitoring, automating and orchestrating of IBM block storage in containerized, VMware and Microsoft PowerShell environments. Choose the right products to make copies of data for backup, recovery and low-cost archiving. 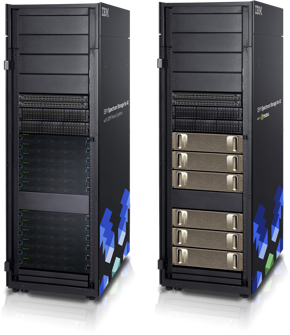 IBM Spectrum Protect™ provides scalable data protection for physical file servers, applications and virtual environments. It also reduces backup infrastructure costs with built-in data efficiency capabilities and the ability to migrate data to tape, public cloud services and on-premises object storage. IBM® Spectrum Protect™ Plus is a modern data protection solution for virtual environments, databases and applications. It is easily deployed as a virtual appliance that simplifies data recovery, replication and offload to multicloud environments; the management of data copies for DevOps; analytics; reporting; and much more. Get the lowest-cost reliable data storage and the protection of airgap with simplified tape access and the rapid deployment of SDS. Data pipelines are crucial to AI, and IBM Spectrum Storage for AI gives you the shortest path to ingest from insights for your AI data pipeline. Optimize every stage of your end-to-end AI data pipeline for faster time to actionable insights. Ready to figure out your own storage and SDS requirements?